In this tutorial, you will learn how to register a node to IoT-Ignite. Before registering a node, your application must be connected to IoT-Ignite. If you have not connected it yet, please check this tutorial first. A node is an object for grouping similar things. Every sensor or actuator has to be bound a node. IgniteSDK has NodeFactory() API for creating such a node. /*Node Type is definition for node. If your node is really a physical device you can set as it is. * RASPBERRY_PI: Defines node as a Raspberry Pi. /*Node Listener : Callback for node unregistration.Nodes can be unregistered from enterprise.iot-ignite.com remotely. After you have successfully created your node, registering it is a simple process. register() method returns true if success, otherwise false. * Check node object and register it. * Node is not null and not registered register first and set connection online. * If you don't set connection true you can not send data over it. * Register node here. If registration successfull make it online. Connection state of a node is important for monitoring it from developer panel. 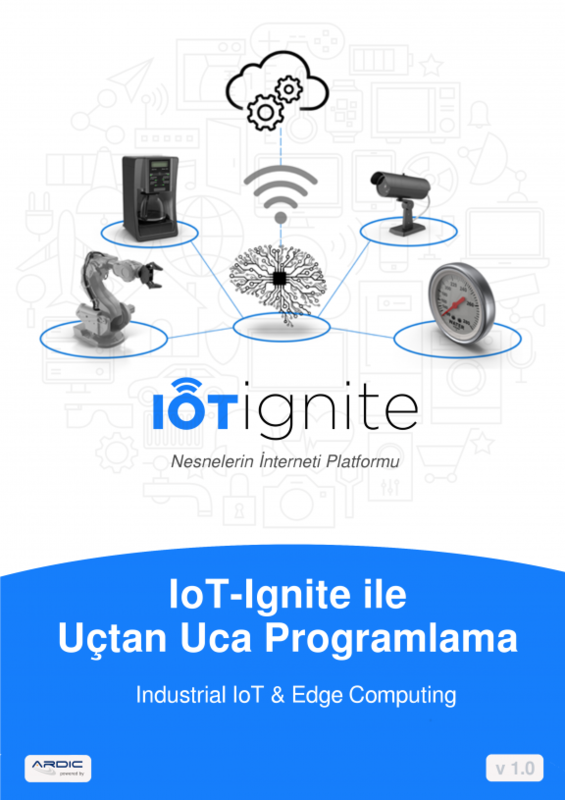 IoT-Ignite platform only communicates with online nodes. If you have created and registered a node but you have not set its connection status as online, you cannot do anything with it. Always set your node’s connection to online before using it. Also, don’t forget to set it offline when your application destroyed. /* second parameter is only for information. IgniteHandler class connects and registers a node to IoT-Ignite. // start watchdog again here. The shutdown() method checks node and sets its connection to false. * Set IgniteHandler and start.